1 photograph : b&w ; 3.25 x 4.25 in. 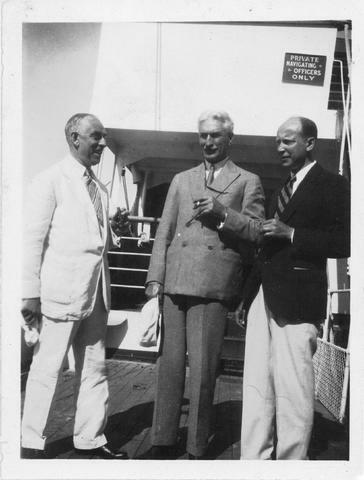 Item is a photograph of Arthur Stanley MacKenzie and two other unidentified people on a cruise ship in the West Indies. Photograph previously located in PC2, Box 5, Folder 18.